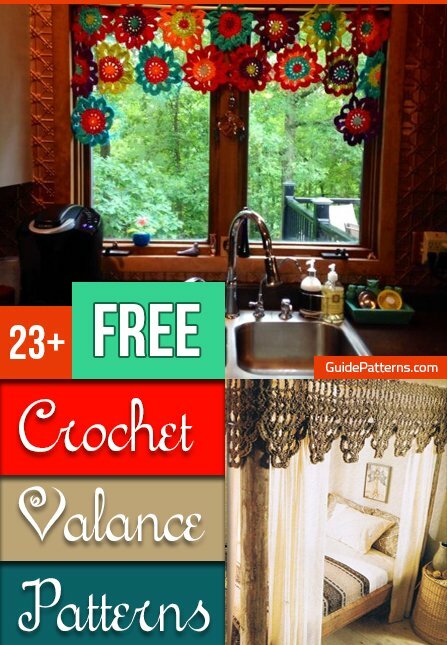 Crochet valances speak volumes about your craft skills. 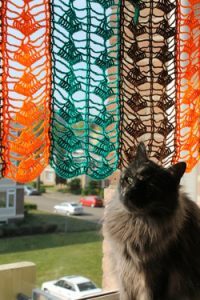 Be careful about choosing the color of the yarn. 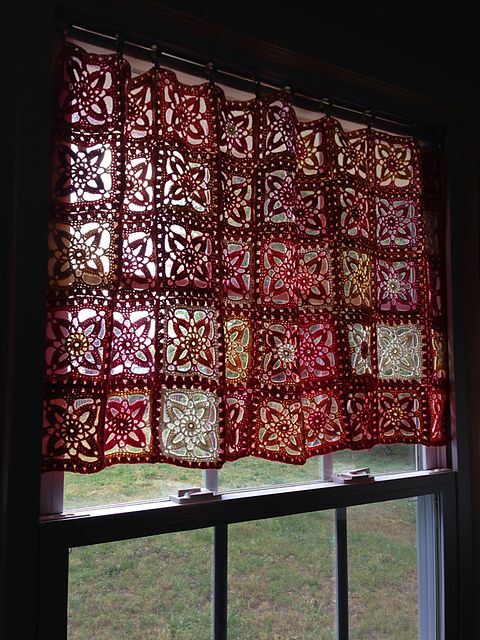 It should perfectly complement the color of the walls and that of the curtains. 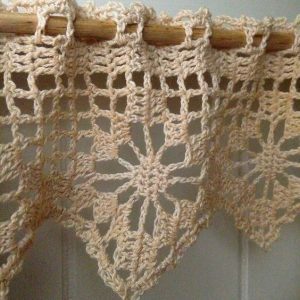 While the patterns of most are simple, you might encounter a bit complex Victorian patterns if you are fairly new to crochet. 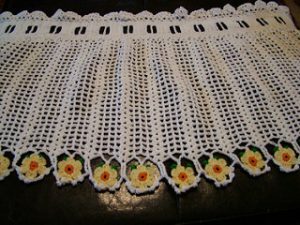 Those who are conversant with it might need to brush up your knowledge of the basic crochet stitches for making the valances. 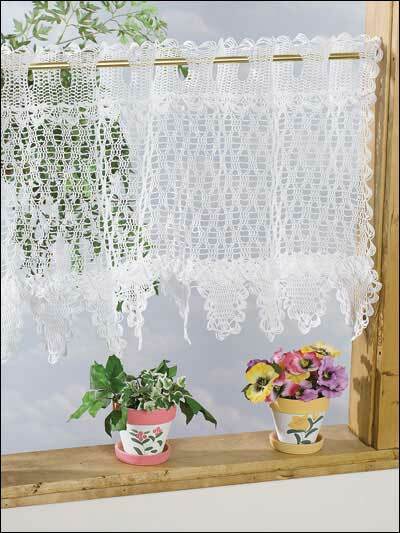 Look out of the window in delight with this hearts and flower valance adorning upper frame. 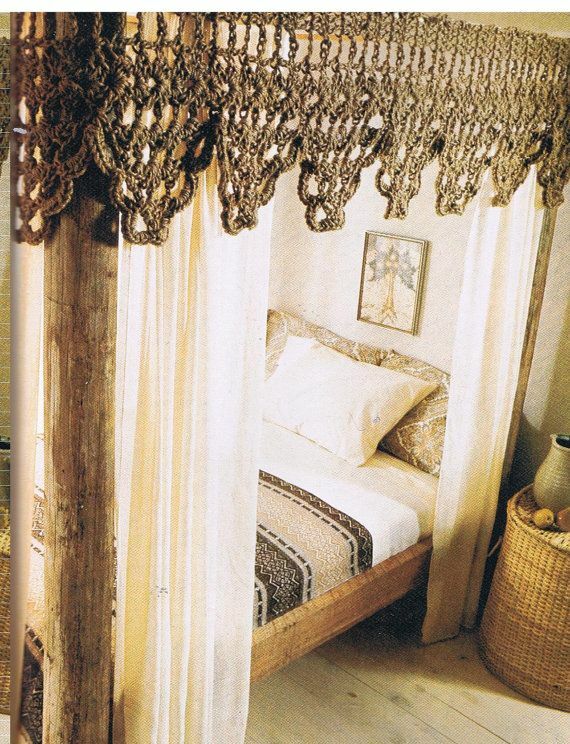 It would be a pleasurable experience to watch the play of sunshine falling through it into the rooms. 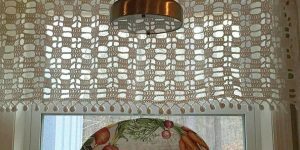 Openwork diamonds make for a mesmerizing look. Dress up your valance in this vintage pattern for a nostalgic feeling. 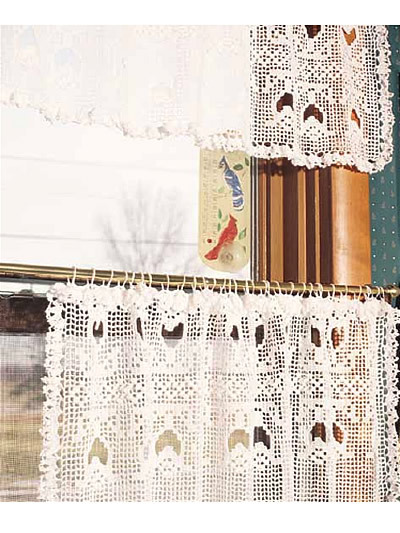 The daisies at the border of this white crochet curtain lend it a classy look. It is a great choice for your kitchen or front door. 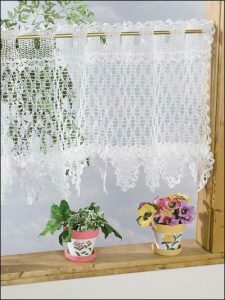 It would be a pleasurable experience to adore the natural beauty outside by gazing through this valance. 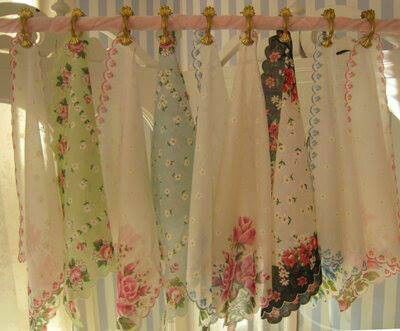 The daisies look fresh on the white curtain. 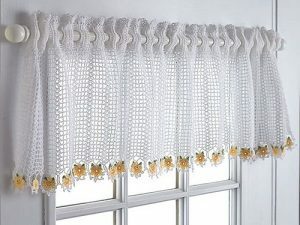 The combination of yellow and white is just amazing. This sure gives your house or apartment a facelift. 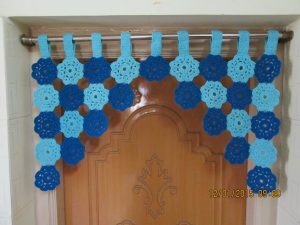 Hang this diamond motif valance over the main door to grab the attention of your guests and the people passing by. 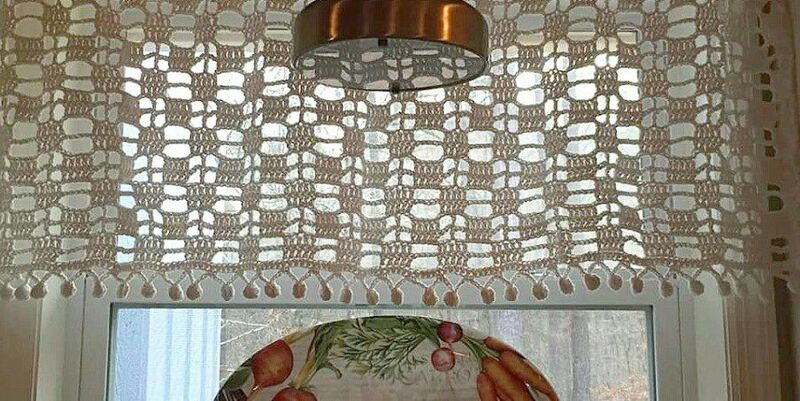 The delicate pattern is sure to grab eyeballs. A pineapple curtain valance effortlessly mixes vintage charm with modern style. The pineapple pattern is both classy and cute at the same time. 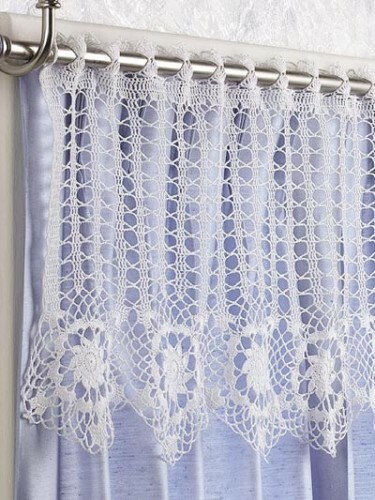 Make this fab valance to remind you of sheer elegance every time you look out of the window. 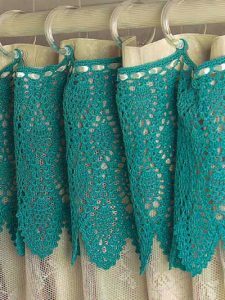 The pattern is simple enough for you to finish it quickly. 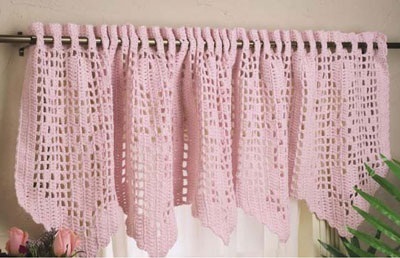 Ecru crocheted valances would look equally appealing. 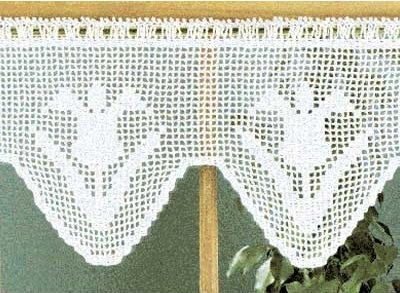 Linked above are 2 patterns. 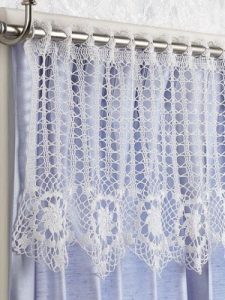 One is that of a shower curtain valance and another is of a curtain tieback. The pineapple patterns in turquoise nail the look. This crochet lace curtain valance can light up any room with elan. It looks fresh as a daisy and is charming enough with white motifs forming the edging. 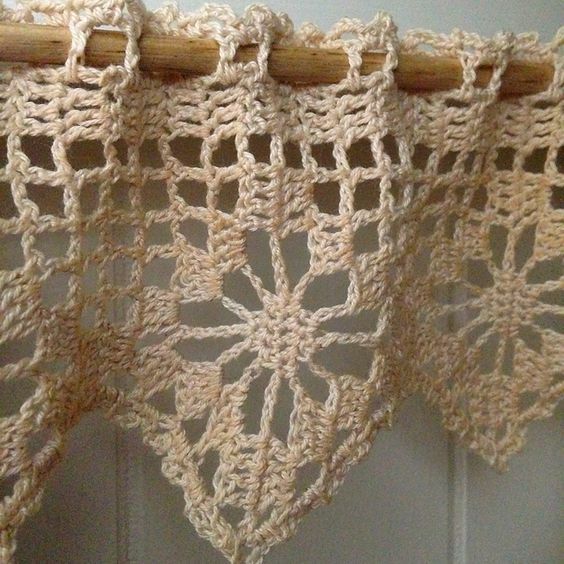 The maybelle flower pattern is easy and enables you to crochet the flower in minutes. 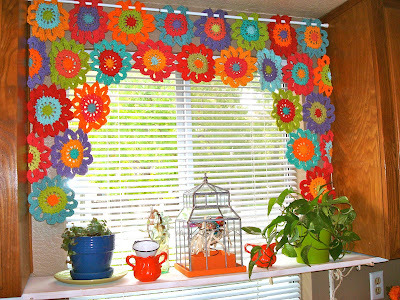 In your spare time, just crochet these flowers and put them up for a door valance. 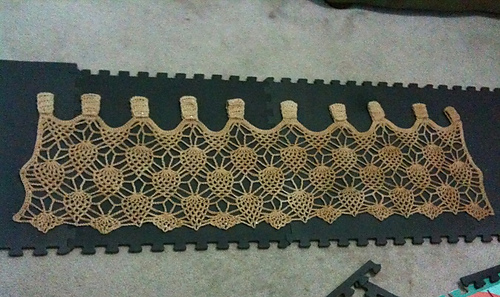 If you want, you can also crochet a mat. 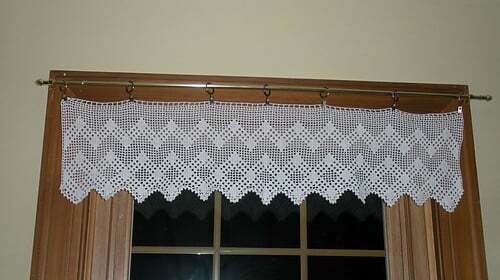 This simple open crochet pattern is for a cotton valance. 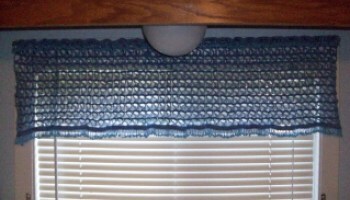 A unique variation of the stitches keeps the valance interesting. 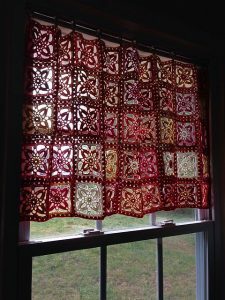 It is perfect for letting the sunlight in for a soft glow in the interiors while at the same time not making it too dark inside. 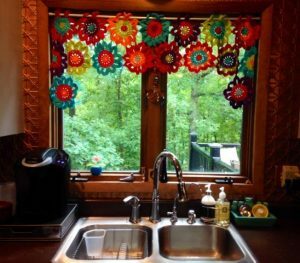 Brighten up any dull day by hanging this circular flower power valance in your kitchen. Overcast days won’t be depressing anymore. A multitude of colors for the flowers makes it eye-catching. 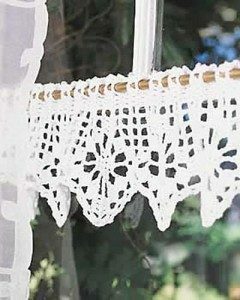 You can also stitch doilies together for this lovely piece for your window. You can find the patterns for crochet doilies here. Give a crochet edging to a set of handkerchiefs as per the tutorial linked above and hang them with clips at the tops of your doors or windows. 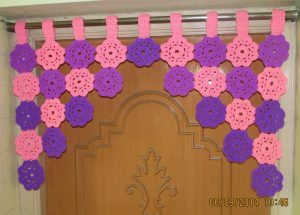 It is a very creative form of a crochet valance. Though the pattern is for a hammock, you can customize it for a window valance. After making a few rows just end the pattern. The top of the pattern is ideal for hanging. 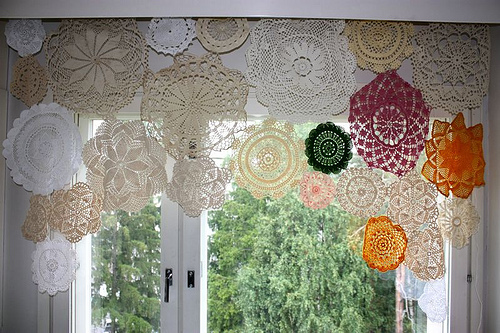 It is advisable that you don’t clutter your mind with all the patterns at once. Take one at a time and proceed. 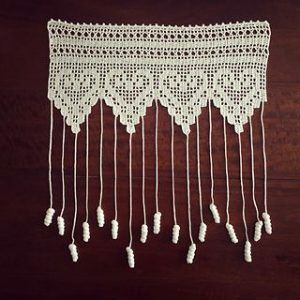 We are sure you would be happy with the end results. 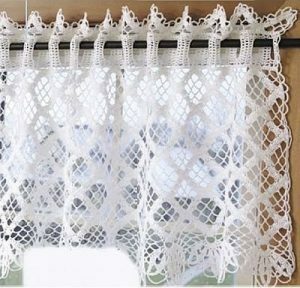 The valances would light up the doorways and windows with unprecedented charm. Don’t be surprised if you are showered with accolades from visitors.